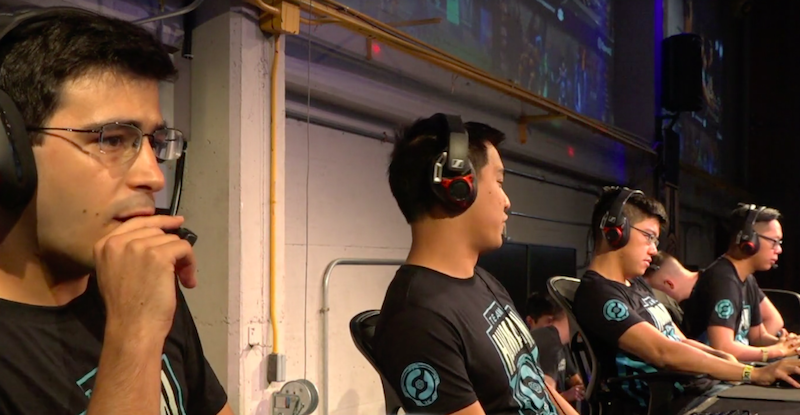 A team of three former Dota 2 pros, one current pro, and a commentator played against five artificial intelligence bots last night at an event in San Francisco. The bots defeated the humans, 2-1, talking plenty of smack along the way. The bots came from OpenAI, a non-profit AI research company co-founded by Elon Musk. OpenAI’s five-on-five bot team has been in development all year, and last month it was beating amateur teams, according to OpenAI’s developers, but this was the first bout against real pros: former player Ben “Merlini” Wu, former player Ioannis “Fogged” Loucas, caster Austin “Capitalist” Walsh, former player William “Blitz” Lee, and current pro David “MoonMeander” Tan. This was a natural follow-up to last year’s bout between humans and bots, when one of OpenAI’s machines defeated a top player in a one-on-one match. There were some restrictions on this five-on-five match—namely, the teams could only use 18 of Dota 2's 115 heroes—but the bots were still good enough to prove that humanity is doomed. Next, OpenAI’s developers plan to take the bots to Valve’s official International tournament, where they’ll compete against the best Dota 2 players in the world.